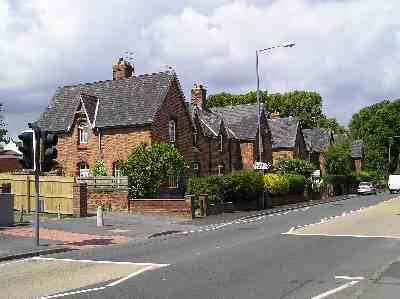 This is the former vicarage built in 1847. It replaced the old parsonage that was in a very bad state of repair. It is now in the ownership of a private company. The following is a report in the papers of Middlesbrough of an incident at the vicarage of Marton in 1875. FATAL GUN ACCIDENT NEAR MIDDLESBROUGH. A HOUSEMAID SHOT BY A CLERGYMAN’S SON. On Saturday 1875, the housmaid, Margaret Barnett, was shot and fatally wounded in the kitchen of the vicarage in Marton village. The vicar’s son, Richard Bailey, had just loaded the gun, which was a breach loading double barrel gun, when one barrel went off hitting Margaret Barnett in the left breast. The groom, called Carver was also in the kitchen at the time and had just gotten up from the table, if he had stayed at the table then he would have taken the fatal shot. Margaret staggered into the other kitchen followed by Richard, whereupon she fell to the floor dying. the Doctor was sent for but she died before he arrived. Richard had been pestering his father, the Rev Bailey, for a gun of his own and so his father borrowed one from Carl F Bolckow. On the morning of the fateful day Richard had spotted a hare in the garden and had asked Margaret to fetch the cartridges from upstairs. She stood in front of him a couple of yards away and watched him load the gun, it was just after this that the trigger was caught and the gun went off. 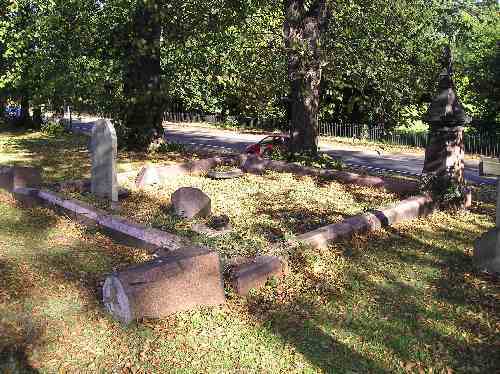 Margaret Barnett was buried in St Cuthbert’s churchyard on the 25th January 1875 after an inquest decided it was accidental. The story of these men was that they hid some stolen meat down a well behind the Rudds Arms public house and when they went to retrieve it they succumbed to the gas at the bottom. 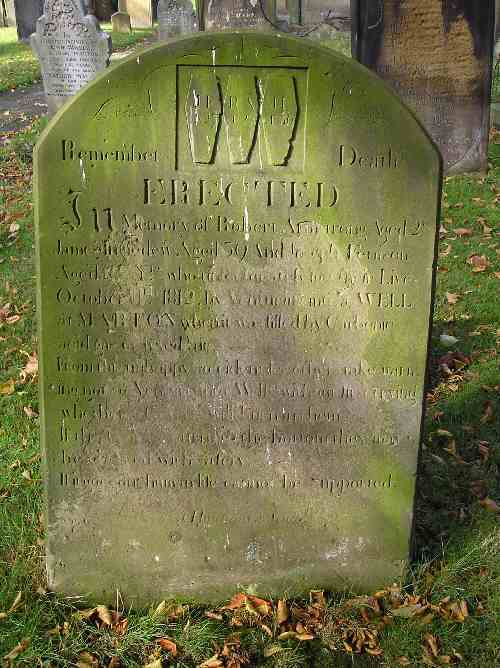 The grave inscription goes on to warn of the dangers of gas in wells. The three men were Robert Armstrong (28), John Ingledew (39) and Joseph Fenison (28) who lost their lives on 11th October 1812. The parish of Marton also includes the hamlets of Tolesby and Newham. 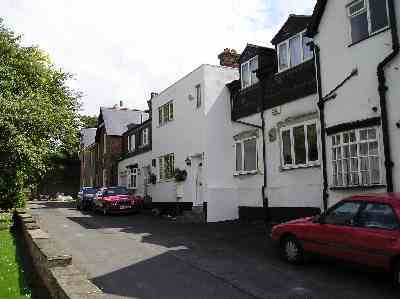 The original village was in two parts – an eastside and a westside. 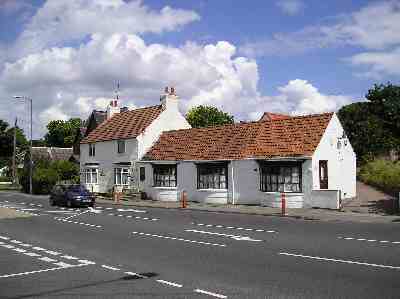 Most of the eastside of the village was removed when Marton Lodge was improved by Bartholomew Rudd and this allegedly included the cottage where James Cook was born. There are no original buildings left in the hamlets of Tolesby and Newham, all the land being built on with modern housing. In the west side of the village is the parish church of St Cuthbert. It originally consisted of a nave, chancel and square tower. 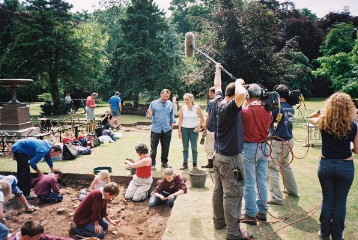 Many of the improvements and it’s design you see today was through the patronage of the Rudd family. In the older picture can be seen the window given by the Bolckow family. 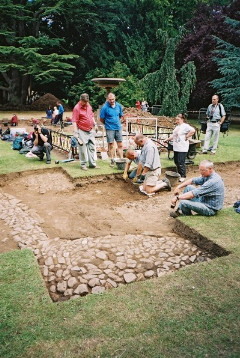 By the condition of the stone work, this picture was taken not long after the window was installed. 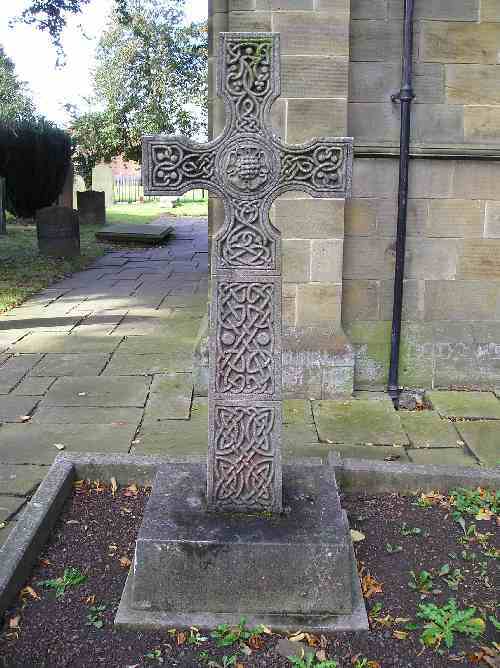 John Bartholomew Rudd.Born 1813 Died 1888. 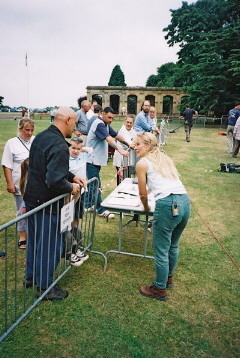 Lived at Tollesby Hall. Nephew of Bartholomew Rudd of Marton Lodge. He gave the stone from Marton Lodge to be used in the building of the Capt Cook Memorial School. Shipbuilder. Bought Gunnergate Hall but died before moving in. Councilor from 1868 – 1874 and 1879 – 1888. Mayor of Middlesbrough in 1889 when the town played host to the Prince and Princess of Wales at the opening of the new Town Hall. In 1865 Edward Williams moved to Middlesbrough to become the general manager of Bolckow and Vaughan’s iron works. After several years as a manager he bought his own works, so becoming an Ironmaster in his own right. An Architect by profession. 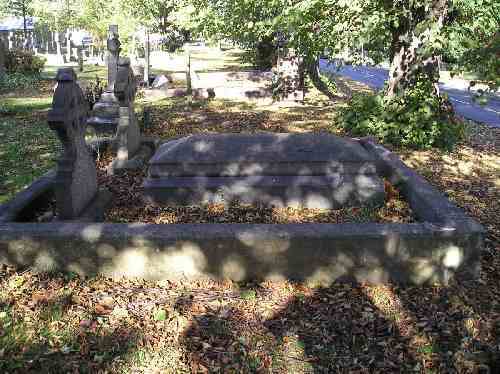 He was a Middlesbrough Councilor from 1932 – 1949 and Mayor in 1943 and 1944. Henry Newbould 1877 – 1965. Pie maker. Second son of the founder of the well known family business in Middlesbrough, Henry took over the running of the business after Wilson Newbould ( his brother ) died on 15th May 1896 at the young age of 57, and Wilson’s oldest son, Samuel aged 19, had died of pneumonia two days earlier. Born in Cologne in 1842. He came to Middlesbrough in 1865 setting up as a wine importer. In 1885 opened up his own business as Winterschladens. Married Miss M. J. Barrett in 1875, they had four sons and four daughters. 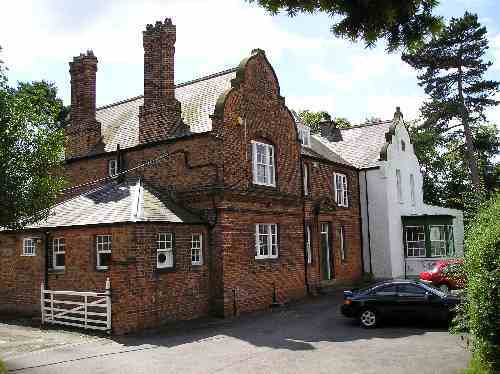 Lived at Rhine Lodge which is still standing, on Marton Road next to what is now Longlands roundabouts. Died 1959. Born in the village of Marton . She stayed on at the memorial school as a pupil teacher. 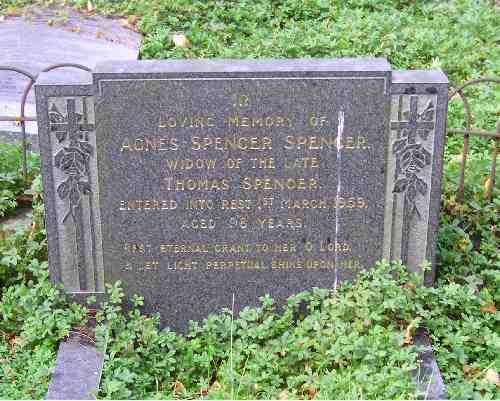 Moving to Leeds, she met and married Thomas Spencer the cofounder and partner of Marks and Spencer. She funded many charitable works including the church of St Agnes at Easterside . In later life she came back to Marton, and lived on the Grove. 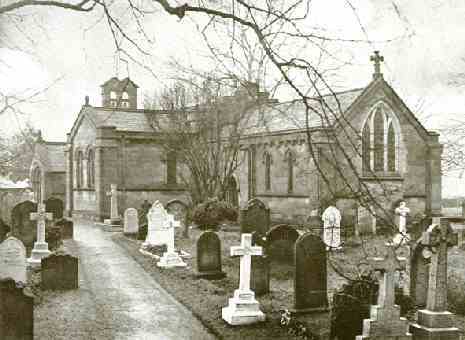 Stewart Park & Marton Heritage Group (in partnership with Middlesbrough Freemasons, Marton Community Councils, St. Cuthberts Church, and the residents of Marton ) are trying to obtain grants to raise funds to restore the graves of two of Middlesbrough’s most important founding fathers: H.W.F.Bolckow and John Vaughan, along with those graves of other notable people who shaped this area into what it has become today. 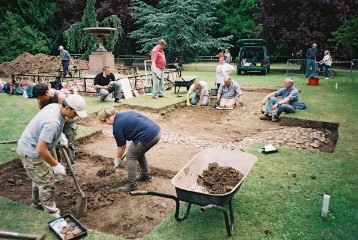 Also restoring the churchyard into a site fitting the historical importance that it surely is. Bolckow & Vaughan were the two men who started the iron and steel industry in Middlesbrough, which brought the growth and prosperity to Middlesbrough and also the area of Teesside. They were both Mayors of Middlesbrough and Henry Bolckow became the town’s first M.P. You can see in the pictures above, particularly the Vaughans’ vault, that they have been neglected and are in need of renovation.